If you are not utterly on board with carp fishing I want you to ask yourself these questions. In your home state, how many species of freshwater fish average over ten pounds? How many of those species are plentiful and common? How many of those species are unpressured, even in urban areas? How many of those species are available all year long? If you want to pop down to the lake for a few hours and have a realistic chance of catching several hard fighting fish over ten pounds almost any time of year then you need to fish for carp. I love catfish, I have caught some monsters well over 50 pounds but for each catfish over 10 pounds I catch, I must catch a lot of cats under 5 pounds. The average size of the catfish in even the best locations is typically well bellow the average carp. 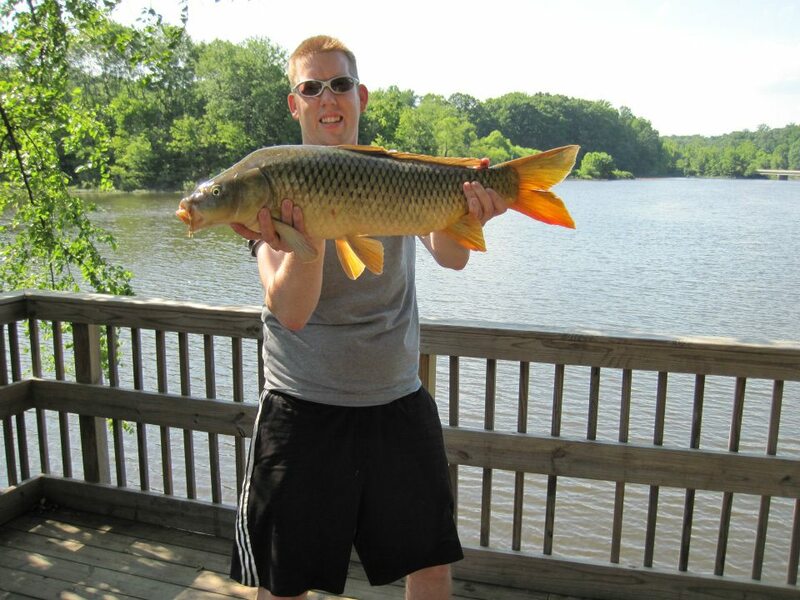 A nice, average common carp from my backyard. In the same places I catch trophy catfish, I can generally count on landing one carp every 45 to 60 minutes and the average carp is 15 pounds in most places I fish. And unlike salmon, strippers and steelhead I can catch carp all year round. Its awesome! I like bass fishing and crappie too, but they don’t make my drag scream for mercy or take five minutes to subdue. Go carp fishing, hook into a golden beast and you’ll get it. If you don’t know where to start or how to go about carp fishing, then you are in the right place. We’ll walk you through it. Carp are so under utilized that they are generally very forgiving to beginners in most areas, you just have to know where to start. 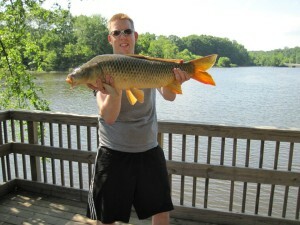 at catsandcarp.com you’ll learn all about the different carp species, carp rigs, carp baits, carp tactics, and carp fishing equipment. If you got a question and you don’t see an answer here, then send us your question. We are glad to help.